AdoGreen Africa specialises in the recruitment of local citizens in Mozambique. Partner with AdoGreen Africa for your Permanent Placements, Recruitment Process Outsourcing, Special Project Recruitment or Company Targeted Marketing to attract top talent in Mozambique. 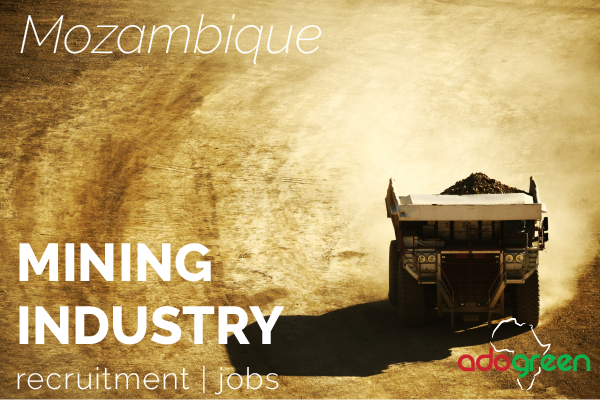 AdoGreen is a specialist recruitment agency focusing on finding local talent in the mining and heavy engineering sector in Mozambique . Mozambique has a small population in relation to other African countries and there are high demand on the skilled local workforce. As a client you want to work with an agency who understands the job and recruitment market at every level being able to provide insight into your expansion and needs. In Mozambique often putting a add in the newspaper does not mean you will get the candidates. We have an extensive referral network and have built up trusted relationships and a highly reputable name in the local Mozambique Industry. Whether you are looking for market and salary information or up to running a recruitment drive for a large scale projects we have the expertise and tools to assist you. Why AdoGreen is so effective in working within Southern Africa, being able to target local candidates, is owing to extensive experience in pioneering within unfamiliar locations and successfully identifying the best recruitment practices for these type of environments for expanding and established companies. We put high value on client and candidate relationships. Owing to physical restrictions in communication within Mozambique, we have had to learn how to overcome these hurdles in order to market our clients correctly, network aggressively within local circles, and target the most sought after talent including those passive on the job market. In order to expand your business in Mozambique with a strong local presence, we like to work closely with you to understand your company goals and development strategy.